media recognized as Otunba Cash has been captured in Turkey, following a sting activity regarding a $1.4m email scam. The presumed Nigerian fraudster who is additionally the CEO of Instanbul Entertainment, was captured after the Danish police sent a letter to Turkish Police Department on 9 May 2018, by means of Interpol, that an unauthorized access was made to one GM Plast company’s e-mail address. It was gathered that the company paid money into some accounts in Turkey, and an investigation bu Turkish Cybercrime Department led to the arrest of Turkish ED, ZI and N.M, whose companies were used as fronts. 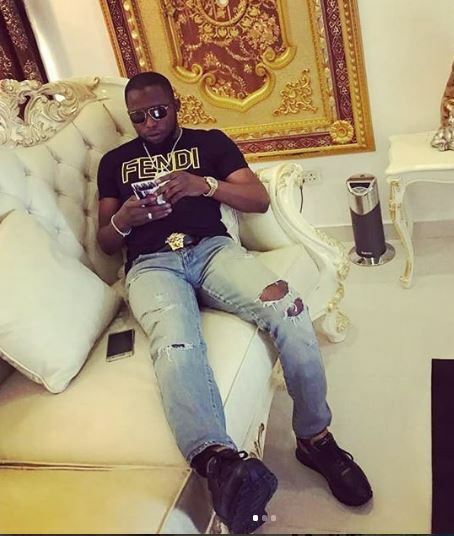 The investigation further revealed that Nigerians are behind the scam and in a simultaneous operation the police conducted in Istanbul on 18 October, led to the arrest of Emmanuel Aneke at a luxury hotel he was staying with gang members O. Popoola, AA Oyemade, AT Fajolu and BO Balogun.. .
Otunba Cash who reportedly hacked the emails of the big companies that made international trades, and then cloned payment advises, tricked the companies into making payments into their font companies. The Police confiscated 17 mobile phones, 15 sim cards, 3 flash memory, 4 computers, 1 memory card, $85k, €5k, 5 necklaces, 3 bracelets, 2 handcuffs, 2 rings, 1 earring, Rolex watch, numerous crime documents and a luxury car from the Nigerian fraudster.